Time approvals are used to monitor billable time entries before they are sent to the client. Approve time to junior team members easily. Turn on approval for time entries. 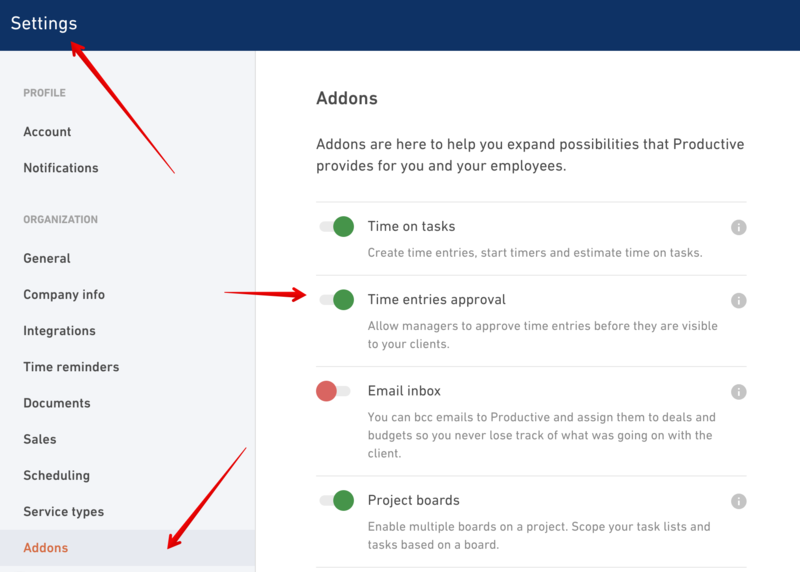 You can use Time approval feature if you want a person responsible for the project to take a look at time entries before they become visible to clients or any other internal reports. Otherwise, everything that’s been tracked will be visible to your clients immediately. To use Time approval, you’ll need to turn it on in your organization Settings section. Once you turn it on in the Settings, a Time approval switch will show up in every budget allowing you to individually choose which budget needs time approval and which doesn't.